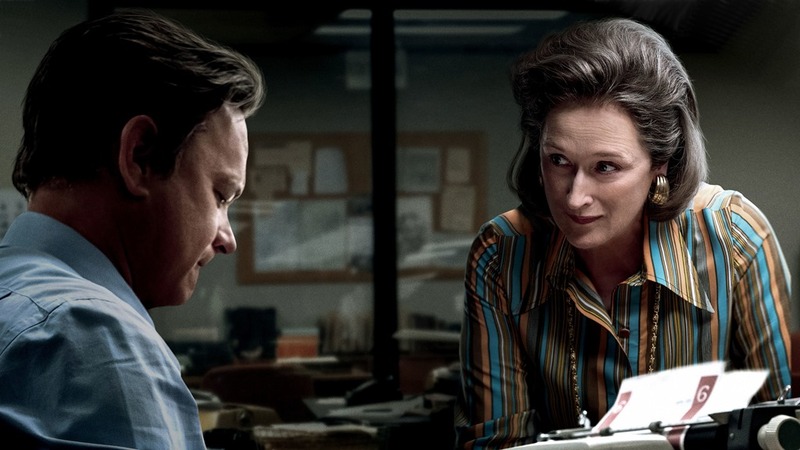 It’s easy to gravitate towards a movie starring Oscar-magnet powerhouses Meryl Streep and Tom Hanks even if the setting and plot didn’t make it for me, a must see. That being said, add legendary director Steven Spielberg and well, how could I refuse? This at times eye-catching movie tells the story of the political controversy surrounding the Vietnam War in the early 70s and how one ailing newspaper helped expose years of cover-ups and lies. I found this intriguing from a world history stand point, aided by solid turns from not just Hanks & Streep but a plethora of recognisable faces. Although I have only a vague knowledge of what was going on at the time, and more familiarity with Hollywood’s somewhat glossy obsession with the war during the 80s, this proved a thought-provoking and in it’s second half, rather thrilling story. Spielberg again proves himself a great director of actors as well as showcasing a keen eye for period-detail and atmosphere, making this a story very easy to get swept up in. However, the movie takes a bit of time to get going, seriously glosses over many details on what really transpired back then, and I felt failed to fully explore the real-life figures played by Hanks & Streep. Oh, and distant through-a-window silhouetted shots of President Richard Nixon just felt cheap. So not Spielberg at his best, but still worth your time if the true story the movie is based on intrigues. This entry was posted in Celebrity, Drama Reviews, Hollywood, Movies, Reviews and tagged Journalism, Meryl Streep, Politicis, Richard Nixon, Scandle, The Post, Tom Hanks, Vietnam, War, Watergate, Whitehouse by Craig M. Bookmark the permalink. I agree. It was certainly a fine movie with all-star power all around, but it just didn’t grab me as much as I’d hoped it would. I’ve spent the last decade working in newspapers and slowly feeling like its a sinking ship, and I wanted something from the glory days that would leave me feeling more inspired.